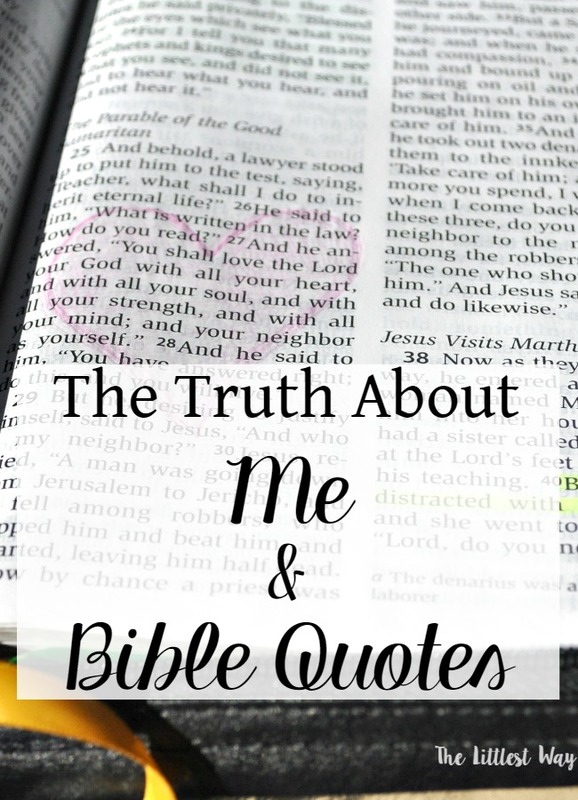 With just a little over a week officially left of my 31 Days of Bible quotes, I just want to lay it out…or at least most of it out for; how Bible quotes and I met, how they saved my life–along with other things, but they for sure played one of the largest roles. I want to share how when I wander too far away from my Bible, I start to feel upset, unsettled and get really nervous. And how I have to keep using them, even now, because the enemy is prowling about..just waiting. Can we just please say a little prayer first? This is hard and I’m feeling a little emotional and vulnerable. I’m not sure of the dates but I do remember the final trigger, the last straw and any other metaphor you know and want to toss in. Chris and I had stayed up watching a movie. I already had to be careful about what I watched; the slightest thing like a character dying of some disease could set my mind off on some wild “What if” tangent. This movie was a Jamie Foxx move where he plays a Cello or some big stringed instrument; I don’t remember the name of nor do I even care to Google it. I don’t know what happened but something switched on in my head and I had to stop watching the movie. I felt like I couldn’t breathe, my heart was going to burst and my head explode while I ran around like a mad woman. I’m still not entirely sure what exactly happened–was it a certain scene or what? I can tell you without a doubt I was full on attacked by the enemy that night. 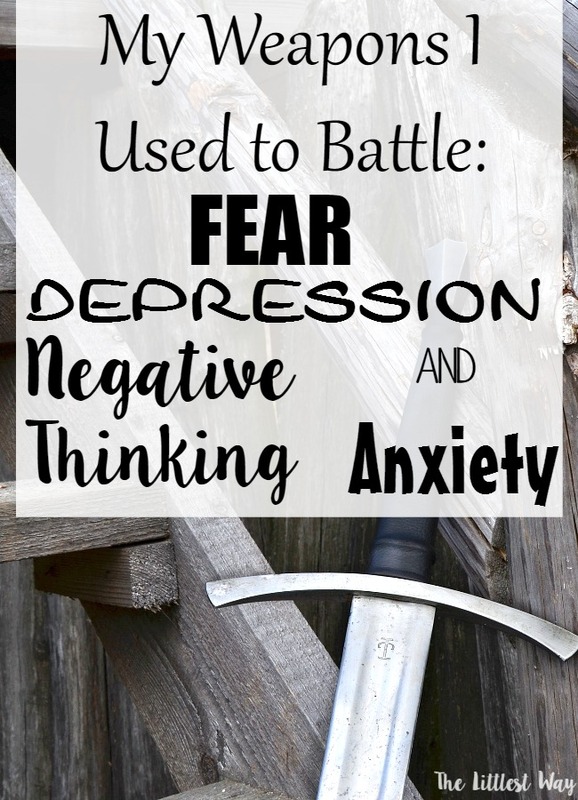 In the past I had struggled with some depression, some anxiety, some fear–well, lots of fear. But some how managed to “keep on keepin’ on” through it. It would flare up, die back down to a simmer, flare up, die down…It presented itself as fear of Ebola, a heart attack and whatever the latest health report I had seen on television or read in a magazine; I worried I had or would get one of those ailments or diseases. But this time, it went straight for my mind–maybe it was the influence of the movie, maybe the enemy just got tired of dancing around and went for a head on attack? And I remember one time very clearly, right in the thick of the storm, shaking my head and realizing, it always was my mind, just cloaked by fear of some phantom physical ailment. I went to bed that night of the movie shaking from an anxiety attack; I was afraid I was going to lose my mind. I was afraid I was going to lose control of myself. I was afraid I was going to lose my sense of reason and right and wrong. I cannot even tell you how afraid I was. Well, I kind of can, I was so scared I was literally sick to my stomach. That fear had me at the jugular and was.not.letting.go…at least without a serious fight. I prayed, cried, read, researched what could be wrong with me, prayed, sought assurance, cried, worried, had anxiety attack after aweful anxiety attack, sought reassurance…and I mean on and on…can you imagine how I must have wore Chris out? Or my sister or my soul sister? And I didn’t even talk to the sisters too much about it because I was afraid of what they would think or do. The days and nights were long as I clutched my rosary, gripped a crucifix, held on to the edge of my bed, paced, got on my knees, scrubbed the tile in my shower, walked, cried, worried, fretted, clung to Chris as my life line and was scared of my own shadow. My heart raced, my head felt like it was going to explode, my body ached, my head ached, my heart hurt, my eyes stung, my stomach was upset. I literally felt like I wanted to crawl out of my own skin. B)I was afraid if anyone ever searched my Google history they would think…who even knows what they would have thought?!??! Late one night, I read about Cognitive Behavior Therapy and determined that’s what I needed. Another on-line search pulled up two local counselors who listed that as one of their services. The first one I called either couldn’t get me in or no longer accepted my insurance or something, so I called the second; a Providential twist. At my first appointment, I timidly told him what had been going on. A couple of appointments after that I laid.it.all.out. Everything…every scary thought, fear, concern, “What if’s” and “Please God no!” I was more scared of myself than what he would think of me at that point. I’m not sure if it was the first appointment or not, but he started asking me about my “weapons.” I had no idea what he was talking about…none. He started quoting Scriptures and asking me questions about them. I pretty much still had no idea what he was talking about. I mean I had read my Bible some, but “used” it, knew it, could quote from it or tried to memorize it…nope. He started talking to me about praise music, gratitude lists and memorizing Scripture. And you know what, I was barely hanging on and holding it together at that point…for honest to goodness real. He literally was my last hope so I listened and did what he said. I knew where I was…I knew I couldn’t stay there. So I did what he said, I read my Bible, I wrote out verses to put near my kitchen sink, on my bathroom mirror, in my purse. I started listening to praise music. I listened to Kari Jobe and Third Day. I read three books aside from my Bible that had a huge and lasting impact on my mind: The 4:8 Principle, Searching for and Maintaining Peace: A Small Treatise on Peace of Heart and Battlefield of the Mind. I started taking pictures. (The Year I Needed a Hobby) I cleaned my old tiled shower a lot. I didn’t run away from these attacks, but I didn’t stop to check them out either. When they would begin, I would start quoting Scripture to myself, I would get on my treadmill and listen to praise music while I walked, I cleaned my shower, grabbed my camera and took a walk with the kids…anything to move my myself forward. I also took on the focused attitude that if something or someone couldn’t help me, then they could possible hurt me. This might sound selfish, but it was and still is self preservation. Let me explain that last one. If listening to a certain song didn’t make me feel positive, inspired, loved, hopeful…I wouldn’t listen to it. Same for watching something on television…you can imagine how much television I watched/watch. This intention included being around people. If a person complained, gossiped, talked about scary things or was just plain ‘ol negative, I couldn’t be around them. It would have been like sitting a recovering alcoholic belly up to the bar. I continued to work closely with my counselor. I also sought spiritual direction with a holy priest who made me laugh. This death grip of fear, worry and anxiety, took all my joy. He knew I needed things to laugh at so we laughed at bad ’80’s music and mullets sprinkled into spiritual direction. He counseled me constantly on how much God love me…everything we talked about would circle back around to this fact. All of the above was a definite process and it took a couple of years until I felt like I could actually breathe. I still struggle occasionally if I don’t take care of myself. If I make one too many clicks around the internet, watch something I shouldn’t, listen to something I shouldn’t or spend too much time with certain people. I am especially sensitive to anything that has to do with mental illness–that is probably one of my biggest triggers…and lack of sleep. Whew! That was a lot to write out and probably a lot to take in as you read. Let me tell you something. This post has been sitting here for a couple of days. It’s taken me a couple of days to write. Then I wanted Chris’ approval before I published it. I read it to him yesterday evening and planned on scheduling it last night…Leo needed me instead. So I woke up first thing this morning to clean it up a bit and hit publish…my computer was D.E.A.D. The computer repair man told me hard drive health is rated 0-100% My computer rated 0%. He was able to get it into some type of recovery mode so we could transfer files off of it. He wasn’t sure how long that mode would even work. As I was rushing out the door to take him my external hard drive, I dropped it on the floor and it broke! What in the world you all!?!! Thankfully it still worked, although it’s compromised. I talked to Chris several times throughout today, “Maybe I’m not supposed to write anymore, I’ve been questioning that…maybe I’m not supposed to blog, I’ve been praying for some discernment…maybe I’m not supposed to post what I’ve written about me and Bible quotes…” You know how Chris responded to all my doubts? He gave me cash to go buy a new computer tonight. This post is brought to you by Chris…and my new laptop. Have you checked out my new Bible Journaling Tips, Inspiration and Permission book? Oh, please do! 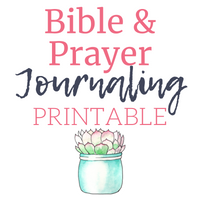 I know you’ll love this valuable resource of “Why and How” to start Bible Journaling, plus a yearly reading plan, a pretty printable and more! Brave, brave woman. You are a strong woman of God and your writing is a gift to us all. Do you have any idea how few beautiful Catholic women’s voices are out there in the world? Your pain had a purpose and now you’re sharing it with others. Who knows how many people you’ve just helped by sharing your story. It just proves that God brings good from everything that happens, even the bad stuff. I am so happy that I recently found your blog. I pray that you continue being a light for those of us still flailing around in darkness. My God richly bless you and bring you peace. Thank you for your kind words Lisa. He truly can work all things for His good. I have been following your blog for quite a few years now. I remember the columns when you talked about being in a dark place and the necessity of taking care of your mind..and your thoughts. This hit home with me because I have a son who really really struggles in this area. Your vulnerability in writing this post was indeed the work of the Holy Spirit. It is the evil one who would like us to believe that no one would ever understand our problems and that no one else suffers as we do. BIG FAT LIE. I pray everyday that our Lord will put someone in my son’s life that will be a ray of light for him. He is away from the church so I really struggle with how to best help him. (Oh how I wish he would read some of those excellent resources you mentioned.). It is so so hard to see him hurting. Thank you for your willingness to write about this. You are ministering to so many people. Please say a little prayer for my son. Of course I will pray for him. Thank you for asking. Thank you Jenny. I pray you are the answer I have been looking for. I’m only the messenger, AMDG, All for the Glory of God. Hi, I just finished reading this….sitting up in bed at 6:30am with the first coffee of the day….and I want to thank you for your bravery in publishing it. You wrote right at the beginning something about someone needing this right now….I do. Not for myself, but for my 25 year old daughter who lives with me. She suffers from anxiety attacks, and has done since she was 12 years old. Over the last 13 years there have been times when she’s slept with me night after night because she couldn’t bring herself to sleep alone. Times when I’ve held her – a grown women – as she has sobbed uncontrollably. Times when she’s needed me to pray without stopping for hours in the night to keep the “demons” at bay. Your post has given me weapons to use against the enemy next time my daughter is attacked. Thank you!!!!! Toni, I am sorry for your daughter. I’m not flippantly saying this, The Struggle is Real, yet unseen to so many people. I will remember her in my prayers. And you momma, it’s hard to see our babies suffer so much. Toni, I will definitely keep your daughter in my prayers. My son is close in age to her and also struggling with many of the same things. It is so so hard. I want to give you a mama hug. I really understand. I’m there right now. 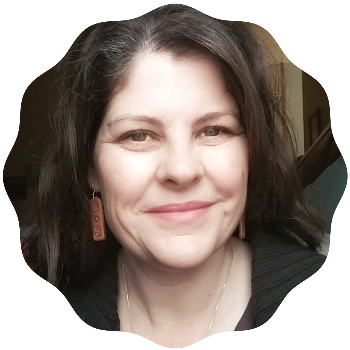 Ever since a traumatic birth that almost took both me and baby #5, I’ve been on a whirlwind of fear and anxiety regarding my health. Every little symptom has me running to the doctors afraid that something’s horribly wrong. And I recognized last night that the 3 *major* flare ups I’ve had since this all started last spring were when I tried to start reading my Bible more. ::sigh:: I’m so sorry that you’ve struggled with this, but I was also relieved that I’m not alone. I’ve so enjoyed your periscopes…they’ve helped me to keep on keepin on with my Bible reading, even when it seems like I can hardly manage it. Thank you for sharing this!! Yay Ashley! I’m glad we found each other. I’ve struggled with the overwhelming fear of something being physically…spiritually…emotionally wrong with me at various times in my life. I get it. Prayers for you. I read this post when it came out. I kept it to reread which I just did. Then I read all the comments. They pretty much sum up what I’m not able to put down in words. Thank you for your beautiful writings! Sending a BIG hug your way! Thank you Debbi. This is a post I need to re-read too. Thank you for sharing this! I appreciate your honesty and I know this post will help many women! I pray it does Lisa. These are the things I wish someone would have whispered to me when I was scared and encouraged me to make a motto when I felt brave. It took a huge amount of courage to write this blog…and even more to post it. Thank you. …and what a good job God did and is doing in you!!!! You are always so kind to me Clare. I thank God for you. Yay Chris! And yay Jenny! For being brave enough to share so honestly with us, for continuing to do so through all of the challenges, for pointing us always and every time toward God. Oh thank you Kaethe for your kind words. I really wasn’t fishing for all these kind words; just explaining where I was and what was going on. No, you weren’t, but maybe you needed to hear them? Sharing who you are and what’s going on adds so much power to your words to us. Barbara, I appreciate your kind words and the time you took to leave them here. Any good you find here is all for the glory of God! Thank you so much for being courageous enough to share this with us. I went through a very bad spell myself last year (not my first), and could relate to most of what you shared. I have only recently started following your blog after I read something about bible journaling which lead me to you. I love your posts, and have begun reading my bible although not every day yet. You are indeed touching lives – you’ve touched mine! Thanks for all you do and hugs to your sweet husband! Oh Mary so nice to “meet” you. The struggle is very real huh? And very painful. I appreciate all the love being shared here, especially for Chris–he’s a great man. Thank you for sharing and please tell Chris thank you from me as well. I do believe that you must be called to continue doing this blog as it seems to be spiritually therapeutic for you and so many others. Including myself. I don’t have time to read all of your posts lately because of my schedule but when I don’t read them I file them in a separate folder in my email server to get to later. I started writing a long response to say how much this touched me but I realized I couldn’t fully form my words to express what I wanted to say so instead I will just say Thank you for sharing and I am grateful for your husband and his support for you and your ministry here on this blog!! Hey girl. I missed seeing you after Mass today. You know Chris and you know God, they make me strive to be better. I’m so very proud of you for walking this path…and continuing to do so. And even prouder of you for sharing your journey with all of us. You are an inspiration. Thank you for your honesty, openness and grace. Your testimony about God’s love and faithfulness helps all those of us on difficult spiritual journeys. Thank you for ALL that you do! Oh my gracious Dawn, if I knew you all would leave such comments, well I don’t know what I would have done differently? They are so nice to read. You all bless me. I wept at your pain and your honesty. Thank you for sharing this. I fear my daughter may be going down this same path. I am going to share this with her. I believe this is an answer to my prayer. I wil pray for your continued perseverance. And as a bit of humor, maybe your desktop computer didn’t appreciate you posting a pic on Instagram and caling it old. You are blessed in many ways, thank you for sharing. Yeah, maybe it’s sensitive in it’s old age! And it’s laughing at me now trying to learn how to use a new computer! I pray your daughter is not headed down this path–it’s a hard one. On the other hand, were it not for this trial, I am sure I would be a very different person today…and one who didn’t rely on God’s Word. I don’t comment very often on blogs, even if I like the posts but I felt I needed to today. Sharing your story was extremely brave. I can remember going through similar thoughts and attacks in my own life (I also have found ways to cope with God’s help)and just hearing you describe them and knowing that I am not the only person who has that happen or is that sensitive to the news, television ect. is comforting. 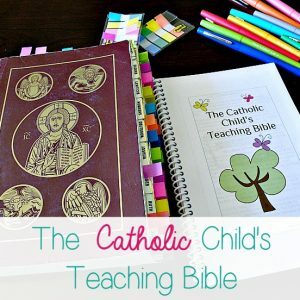 I have always appreciated your blog since finding it on a Pinterest search for ideas during Lent. As much as I enjoyed my regular blogs of fashion and home design and all other types of pretty things I wanted to find a blog that offered more and helped me strengthen my faith. I can’t tell you how many times your blog has given me something to think about or strengthened the direction of my prayers. Because of your 31 days of prayer I have memorized my first scripture versus after writing some of my favourites in my day planner and working each week to memorize a new one. My office bulletin board has others that I liked pinned all over it. God is working through you and you are helping people. I think it’s a very good idea to always pray and ensure this is what you should still be doing but I felt so compelled to write this to you so that you could know the good that has come from your blog. I know we don’t know each other but you have touched my life with your faith and I think that’s pretty amazing. Wow, Melissa, thank you. 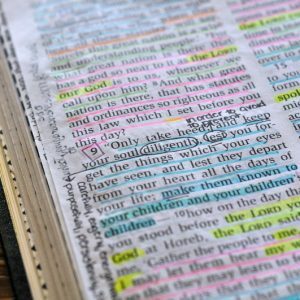 More importantly–YAY on memorizing your first scripture!!!! Which one? I really appreciate the time you took to leave such kind words for me. To Him be all praise and glory! Psalm 51:1 🙂 that was the first one I memorized. Fear not and praise God. You were meant for this friend. Just keep on giving what you have been given ~ that’s all. Know that many, many souls are suffering in this way and in need of the gifts that you have received through Jesus Christ our Lord. Amen. PS. Thank you Chris. You are a good man. I pray that your daughters are blessed with a husband like you and your sons become the man that you are. Thank you sweet friend. Oh and Chris, he’s awesome! I am truly blessed by God through my husband.